LubyTreeServiceBlogTree ServiceHow you could repair storm damage tree? – A complete guide! In certain cases, severe damage can occur such as broken branches, splitting of trunks, removal of bark to name a few. Some of the major causes of such kind of damage are lightening, strong winds and heavy ice storms. So, the next question that must be coming in your mind is if the tree repair is worth the effort and time to be spend. Only utilize it, if the substantial portion of the tree is still intact and if the repair is performed, it may come back in shape again and give the owner the perfect value. To start off, you would need to access the damage. You may find some branches broken and hanging while some of them may be partially attached. You need to plan on which branches you want to remove and decide at which place the removal cut should be made. Further, you need to damaged branches at the nearest main stem, bud and lateral branch and not in the middle of the branch. 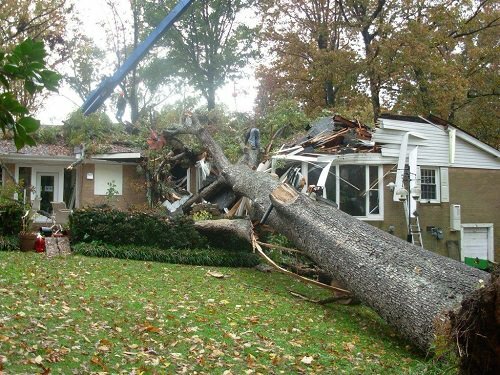 Damage to the tree due to storm can cause a lot of problem to you and hence it is recommended that you get in touch with an expert such as Luby tree service who would assist you in providing world class services such as tree removal , stump guiding , Tree pruning, tree trimming and all these services are provided round the clock for the assistance of the customers.